Remote car starters have been around for many years now, but it was not until a few years ago that they gained real mainstream popularity. They bring such convenience as the ability to start, lock, and unlock your car remotely, warming the car, and (for some) tracking the whereabouts of your car among many other benefits. That is to say; they make driving enjoyable while at the same time improving the security standard of a vehicle. 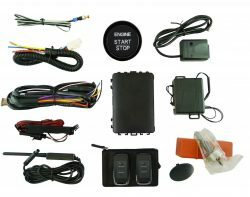 Check out our remote car starter buyer’s guide to read more about features and what to expect from your responder! The dynamic prices, designs, and specifications of remote car starters have made it possible for practically every car owner to afford a unit and as the market grows so does the number of manufacturers, makes, and models. While that is a good thing, it makes it hard for consumers to know the system that is suitable, efficient, reliable, and durable. That is why we have put together this list of the top 5 remote car starters for 2016 so that you can use it to choose one that suits your needs quickly. Additional features: defroster, LED display, temperature regulator, and timer. For the best price click here. Viper is a renowned brand of car starters and security systems. Its 4205V is made using SuperCode technology that makes it possible to control two vehicles with a single remote while at the same time ensuring the security of the signals transmitted. It supports valet takeover and thus you can leave some functions running even after removing the car’s key. For increased efficiency, the remote starter has a timer that allows you to set the duration over which you want the vehicle’s engine to run or the door(s) to be unlocked. If you wish, you can upgrade it to a smartphone-controlled system by integrating it with Viper’s SmartStart. Generally, this model excels in performance and offers much more than what most others won’t. Read our in depth review here. Additional features: LCD screen, chrome metal finish, 24-hour clock, and temperature indicator. The RS730LCD enjoys positive reviews and ratings from customers thanks to the fact that it packs so many functions in one classy-looking gadget. Compared to other models, this one has a comprehensive security system that features motion and impact detectors which trigger the car’s alarm system when its security is breached. The alarm is mild when the threat is small but very loud when the impact is big. The unit is designed to fit under the dashboard in a compact and inconspicuous manner. Although the remote has five buttons, it also features a button lock that you can use to ensure you don’t press a button accidentally. If you are the type of car owner who values physical appearance but doesn’t want to compromise on performance, then you better get this gadget because it has everything that you need. Read our extended review here. The Avital 4103LX Automatic Starter retails at a price that is almost ten times less than that of high-end models, yet it performs far much better than most of them. It integrates with a car’s interface devices easily and seamlessly using D2D cables. When you buy this model, you will get two remote transmitters. They are very easy to use as each button is marked. Just make sure you know how long you need to press each button because most of them have more than one function. That simplicity in design ensures that any car owner can install and use the Avital 4103LX without running into challenges. So if you are on a tight budget then don’t be scared to get this unit because it will serve you better than some of its expensive counterparts. Additional features: arms and disarms vehicle, emergency entry in case the starter fails, and starts A/C automatically. This model is at the upper price range compared to others on this list, and there is a reason for that – it is an excellent unit when it comes to security and convenience. 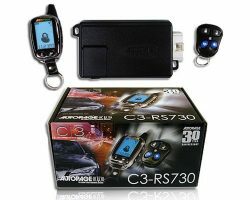 It can lock/unlock your vehicle, start the engine, and arm/disarm it remotely. 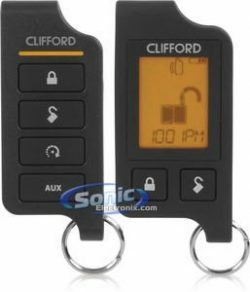 Contrary to other models, you don’t even have to press buttons to lock or unlock your vehicle, all you have to do is walk into the system’s proximity perimeter, and the car will unlock itself, and when you walk beyond the perimeter, it locks itself. If the EasyGO system fails, you can use the emergency override option to get into the car manually and start the engine. In short, this model will make you feel like you own a luxury vehicle. 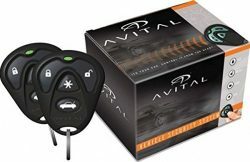 Additional features: rechargeable battery, trunk opener, SmartStart compatible, and built-in bypass module. A one-way starter is good, but a two-way is even better. You get to send instructions to the main unit using a remote transmitter, and the unit will send feedback in the form of vibrations or on a LED display. One such system is the highly adored Clifford 470.6X that boasts of a large LCD screen. With this remote starter, you don’t have to worry about security because the signal is encrypted using SuperCode. Its compatibility with SmartStart means you can integrate the system with your smartphone and use it with the SmartStart app or Bluetooth. As if those features are not impressive already, the manufacturer even slotted in four auxiliary channels in case you want to have more fun with the starter. Don’t worry, if these aren’t for you or you’re looking to see what else is out there from the world’s leading car starter brand, check out our Viper Remote Reviews and see why they’re so popular!